A fun card for your Grandad. 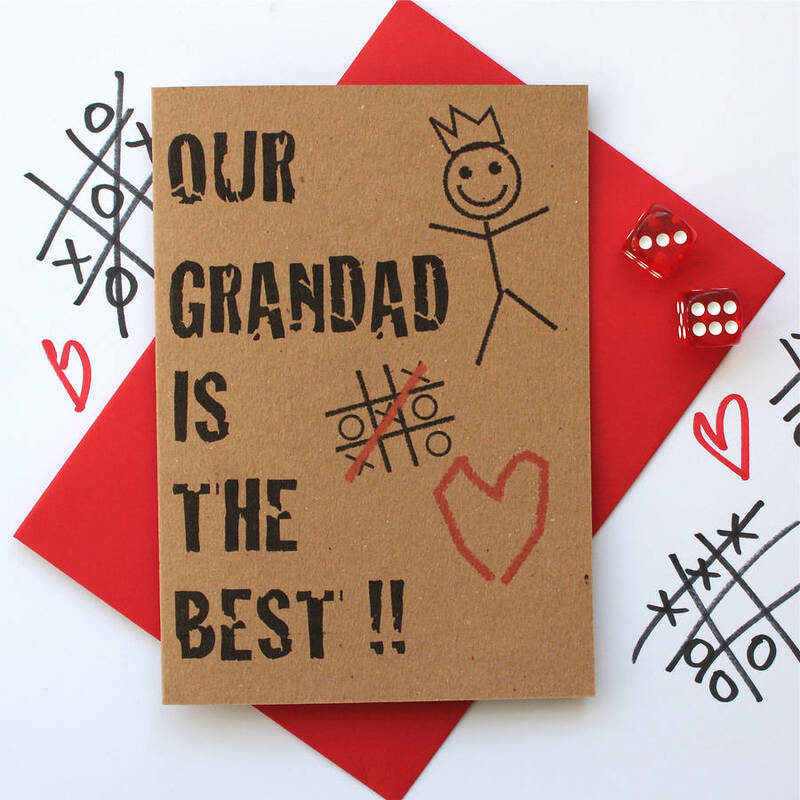 Perfect for Grandad's birthday or just to show him you care ! 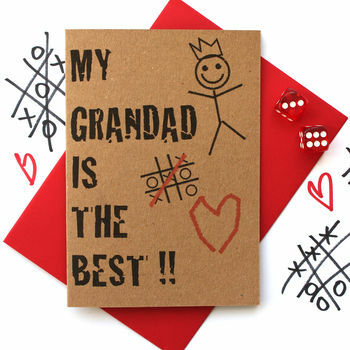 The card text can read 'my' or 'our' grandad or grandpa. Make you selection on the drop down menu when placing your order. The card is printed on recycled manilla card and is A6 size (10.5cm by 14.5cm).